Bounty Killer has a clear preference for Vybz Kartel over Mavado, two of his most prominent students. Over the past couple of weeks, we’ve seen Bounty Killer and Vybz Kartel bromance growing right before our eyes on social media. On the other hand, we’ve seen his relationship with Mavado go on the decline, and now the two are not even on speaking terms. In a few posts on his Instagram account, Killer explains that Kartel has always given him credit for bringing him to the forefront of dancehall, while Vado rarely if ever gives him any credit. 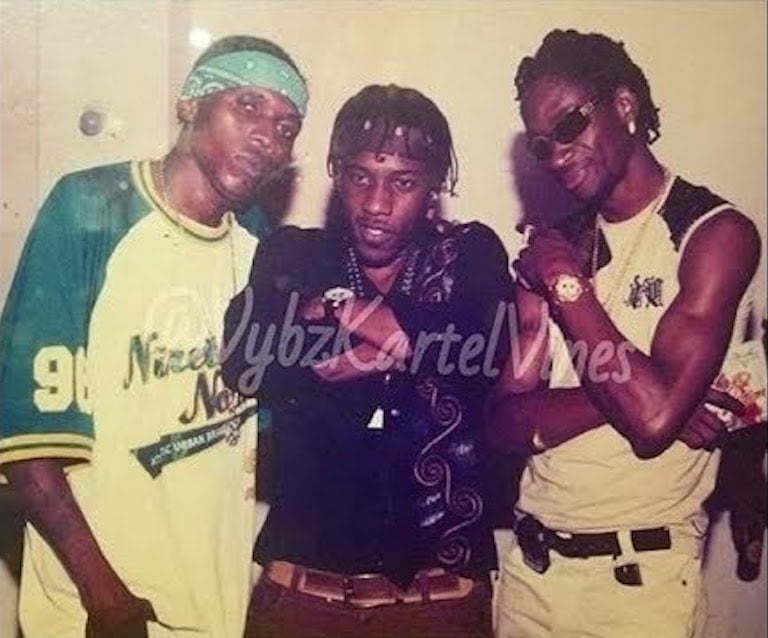 Just last week, Vybz Kartel shared a throwback video clip on the Gram of the day that Bounty Killer took him on stage in the year 2000 and changed his life forever. He also regularly called the dancehall legend his father and he intern called the Worl’Boss his son. Bounty Killer and Vybz Kartel have had a rocky relationship over the years, but it seems the two deejays have found a way to fix their relationship to what it once was in the glory days of The Alliance crew in the early 2000s. Some dancehall fans think that Killer is being hypocritical in his disdain for Mavado and sudden liking towards Kartel given that the Gaza deejay left The Alliance and released some scathing diss tracks aimed at the Warlord. Kartel even famously formed an alliance with Killer sworn enemy Beenie Man at the time. Some fans think that it was Mavado who defended Bounty Killer’s honor by dissing Kartel which triggered the infamous Gully Vs. Gaza feud. Bounty sees it differently, and in a recent post, he said that Mavado wanted to get Kartel’s fame and that’s why he started the war. “Some of them wouldn’t mind if people didn’t remember is me bring them public because to how them hype and cocky you wouldn’t believe is somebody did help them at all,” Bounty added. While he didn’t mention Mavado by name, the message, he is conveying hits home.